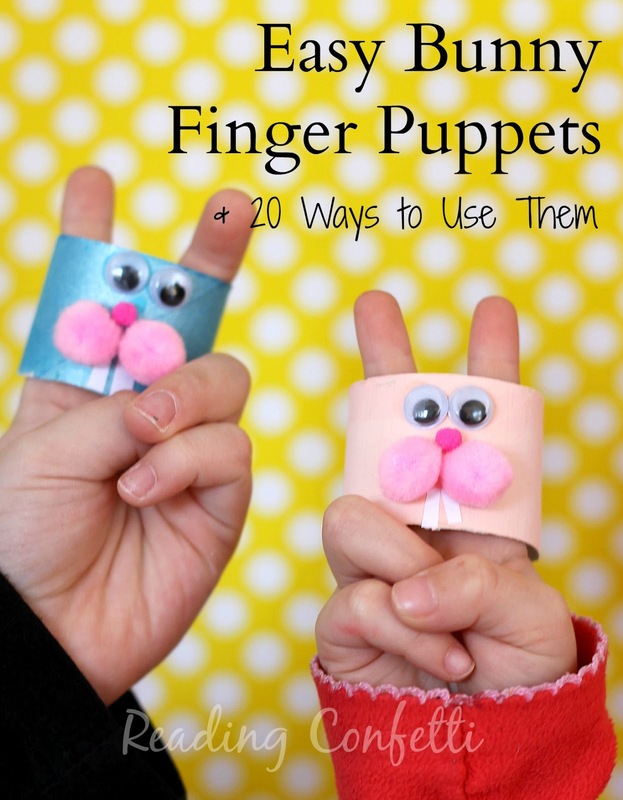 Make some easy bunny finger puppets with kids and use them for all kinds of early literacy fun. 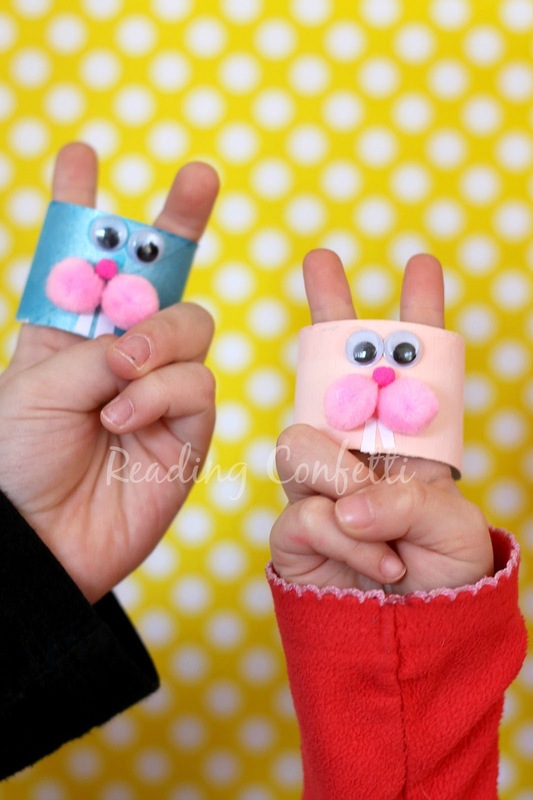 Check out the bottom of the page for bunny poems, stories, and songs that preschoolers can use to make their bunny puppets come alive and practice important literacy skills at the same time. 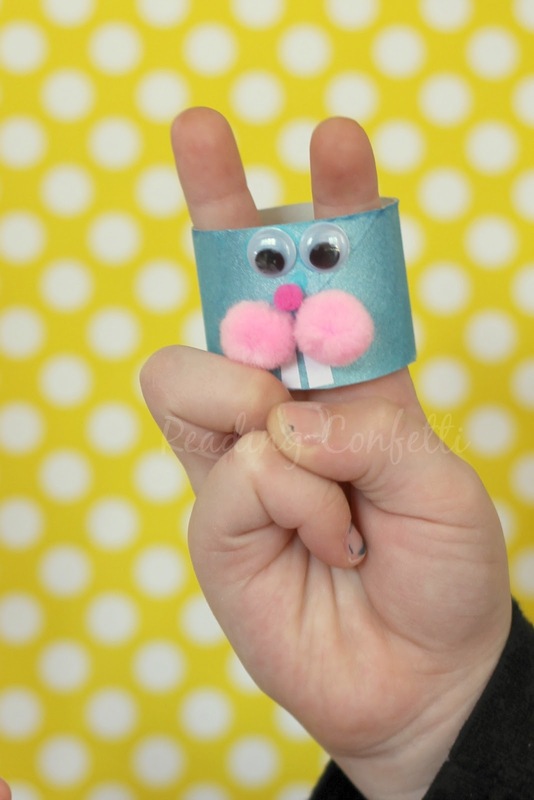 We made the finger puppet with empty cardboard tubes, google eyes, pom poms, and white paper. After we painted the paper rolls and let them dry, I cut them down and we glued on the faces. We also added a cotton ball for the tail. Once the glue was dry the kids were ready to play. "Have You Seen the Easter Bunny?" Or best of all, kids can make up their own bunny stories. So cute! Can't wait to make these! How clever to make them puppets - I have pinned. These are adorable! I bet the kids had fun with them.